If you travel in educational circles these days, it’s hard not to hear about critical thinking. It seems like a logical answer to the Information Age problems we face today. The problem with our perception of critical thinking is two-fold: most people think that they do it – applying it to the issues they are bombarded with on a daily basis, and most teachers believe that they already teach it to their students. These folks may or not be right; we explore these problems with today’s guest. This week, we invited a critical thinking expert, Educational Psychologist Dr. Linda Elder, to the show to set the record straight. In this episode, we explore what critical thinking is, how can we apply it to any issue, how it helps those with opposing views to communicate with one another, and why Texas tried to ban critical thinking in schools. Dr. Elder is the President of the Foundation for Critical Thinking and the Executive Director for Critical Thinking. 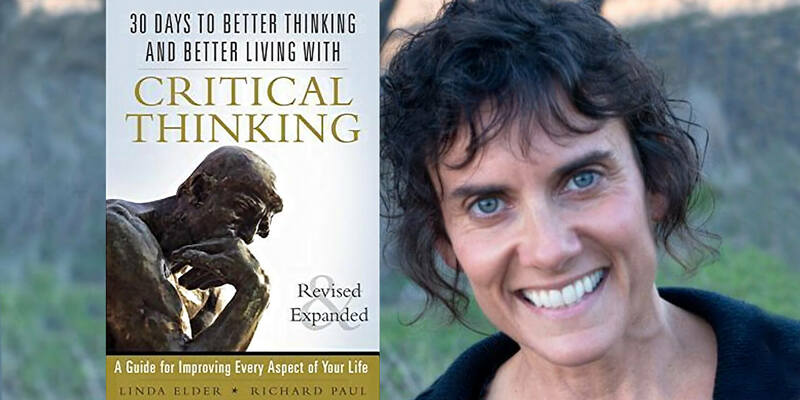 She has co-authored 4 books including Critical Thinking: Tools for Taking Charge of Your Learning and Your Life and 30 Days to Better Thinking and Better Living. Dr. Elder also co-authored 24 Thinker’s Guides on critical thinking. Don’t miss this important conversation about the importance of understanding, employing, and encouraging critical thinking in our society today. What critical thinking is all about. Dr. Elder’s historical perspective on the subject. Whether most teachers really do teach critical thinking to their students. How we can become better deconstructing reasoning in every part of human life. The essential elements of the critical thinking model and the best approaches to teach them. How we can get people to use the abstract foundational models of critical thinking. How one may apply critical thinking to reading the news. Why critical thinking may be considered a threat to society. Your conversation with Dr. Linda Elder was excellent, thank you for focusing on not only on the subject of critical thinking, but on real ways to work on our own skills to better thinking. Thank you so much Alison. Very best wishes to you for an amazing 2018! thank you for allowing us to hear Linda Elder and her wisdom, knowledge and critical thinking. I’ve listened to it twice and learned a lot. Is it me, but did it cut off midstream? I don’t think it does. Or, at least, a few people have downloaded it – and this is the first I’ve heard of it. If, after having another try, it still does that – make sure you ping my back. I never get tired of hearing about the FCT approach to critical thinking. I have been actively studying and teaching (to the best of my ability) this paradigm for the past several years, and I learn something new each time I encounter someone talking about it. Great podcast! I am so happy you are happy! 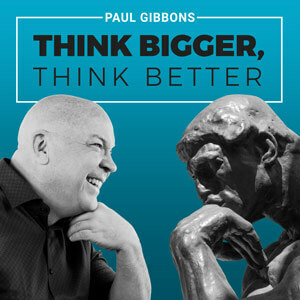 If you’d like to win one of the authors’ books, go to paulgibbons.net/itunes (podcast reviews)… Would love to send you one!! Gibbons misunderstands what the Texas law was in fact doing. And you pass on that misunderstanding to Elder. What the Texas law was aiming at, was a repackaged program–they were not aiming at critical thinking itself. In fact, what they wanted was GENUINE critical thinking, not something repackaged in a word salad that was already rejected. What they were truly reacting to in their legislation, was sophistry. To discover that you had to actually read the legislation itself, not the news stories surrounding it, which willfully distorted was was actually there. Grateful for your comment. I did read the legislation, it seemed to use critical thinking pejoratively – as an attack on values, as a “closet” attack on religion. That is interpretation though. Do you have an example of the repackaged word salad? I’d love to take a look! If I have indeed got this wrong, would be immensely grateful for further illumination.